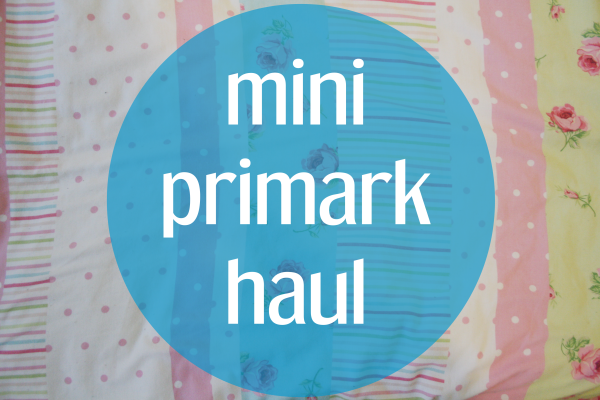 Like I promised, here is my little Primark haul! I went to one of the Oxford Street Primarks the other week and got a few little bits. I normally go mad when I go to a Primark, as I don't have one local to me, so whenever I do go it's a treat! But this time I didn't think it was that good, there was barely anything I wanted to spend my pennies on, pretty disappointing! But here are the few bits I did buy, and I'm so chuffed with all of them. Isn't this the cutest dress? I love the bright paisley print on the black background, it has that summery feel without being OTT with pastel colours. 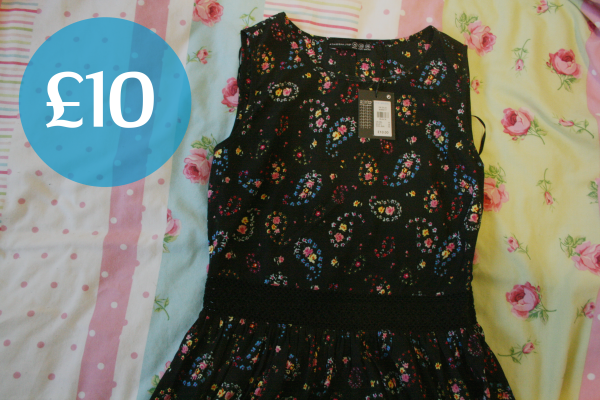 At ten pounds, it is one of the more pricey items in Primark, but it is very nice and I really like the little crochet bit in the middle, very much reminds me of the Topshop dresses they did a few years ago. I've been looking for a new bag for ages, I love my Zara city chain bag but I really wanted something a little bigger. This was perfect! I love the size and the colour, as well as it being so cheap! And in my opinion it doesn't even look that cheap, like a lot of bags do in Primark. I'm definitely a happy bunny with this one! Now I'm not sure if I really needed these but at £2.50, I just threw them in my basket. 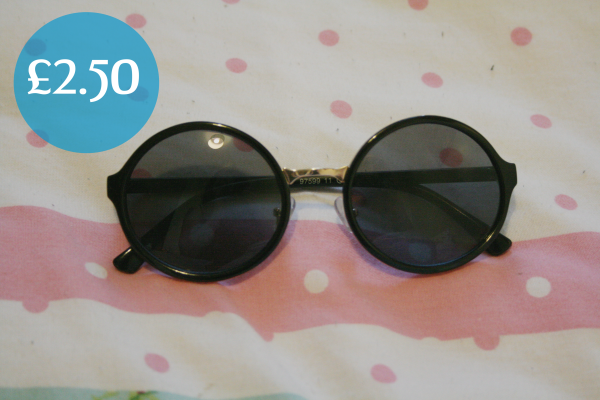 I have the same sort of pair from Topshop, but you can never have too many oval sunnies! The lenses are pretty awful on these, as my eyes are still blinded by the sun when I wear them out which is a shame, but they are just so cute! One of my favourite parts of Primark, the pyjama section! It's literally heaven and so cheap. I wanted a pair of pj shorts as it's started getting warm (for England anyway) so I chose these ones. 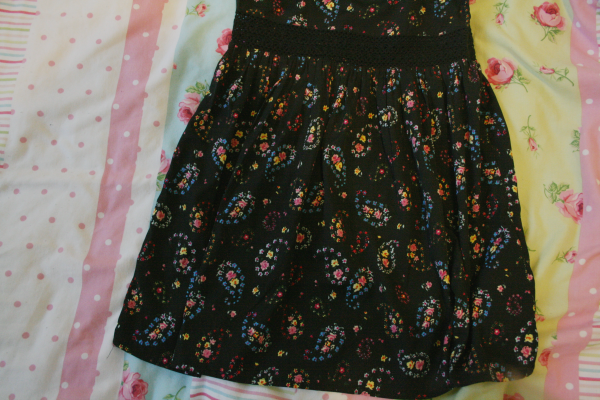 The little floral print is so cute, and the material has a bobbly texture which I really like. They are kind of see-through as the material is so thin, but they were so cheap. If any of you have been to the pyjama section recently, have you seen the Care Bears pyjama bottoms? I'm so gutted I decided against buying them! I'm sure you've heard the news, but can you believe ASOS has started stocking Primark clothing, probably my favourite news I've heard this year! Will you be buying your Primark attire from ASOS in the future? Love the dress and sunglasses. Love the bag, super cute! I love the sunnies! Primark sunglasses are usually decent for the price, and always have a good range of styles. I recently bought some hilarious ones with a parrot and palm tree on the side hahaha not that I'm going to wear them.. ;) So fun! 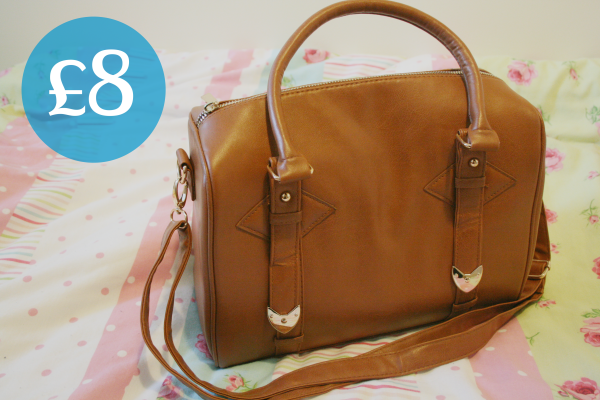 oh my, that bag is just puuurfect! 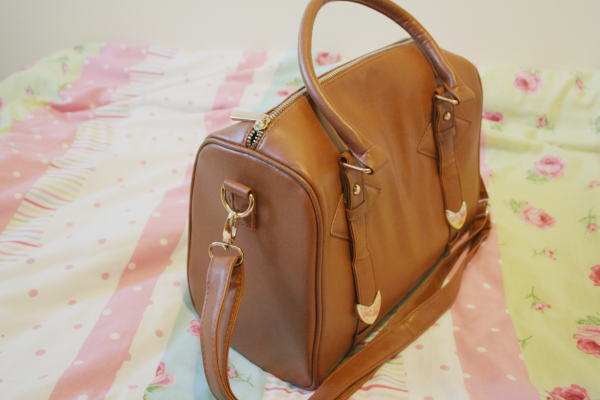 i absolutely adore primark bags. and shoes. and everything else while we're at it, haha! Love so much the Bag you bought!! !